Enjoy the last week of Oktoberfest treats! 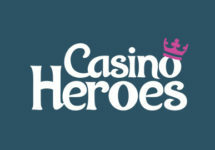 What a cracking promotion this has been at Casino Heroes, and it is not yet over as we are heading into the final week of their Oktoberfest 2017 campaign. There are still over 300 Free Spins to be claimed with modest daily deposits on some truly thrilling games such as Planet of the Apes™, Wild Blood and Mayana. Not to be missed. Final week of this superb campaign at Casino Heroes which has seen millions of Free Spins and other goodies going to participating players. And it will be a grand finale as we have new games coming into the mix. Try the new blockbuster slot from Netent, Planet of the Apes™, or Mayana from Quickspin by claiming Free Spins on your next deposits. 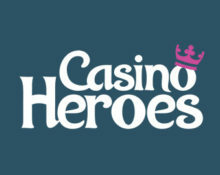 Enjoy Free Spins on the new slot for 4 days. Deposit €25 | €50 to instantly receive 25 | 55 Free Spins on Planet of the Apes™. This offer can be claimed once every day until 27th October 2017. Australian players will receive their Free Spins on other games, check the promotion page for the daily slot. Wagering requirement is 40x FS winnings within five days, subject to the Casino Heroes bonus terms and conditions.